An exceptional and moving novel about the power of the imagination from a New York Times bestselling author, illustrated by the winner of the Kate Greenaway medal. Described by Michael Morpurgo as "a remarkable book": December 1941; Britain is at war. Emmaline has been evacuated away from the bombs to Briar Hill Hospital in Shropshire. When she gets there she discovers a secret. It's not to be shared, not to be told to anyone, even her friend Anna. But she'll tell you. This is Emmaline's secret. There are winged horses that live in the mirrors of Briar Hill. 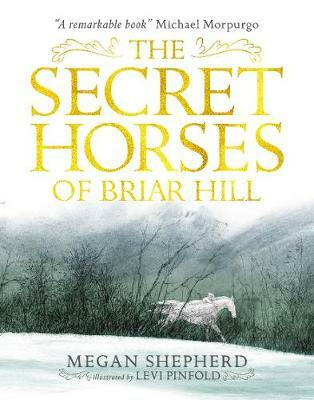 Exquisitely illustrated by Levi Pinfold, winner of the Kate Greenaway Medal, The Secret Horses of Briar Hill has all the makings of a modern classic. The illustrations are a brilliant addition to this book, I truly looked forward to each illustrations as I turned the pages.